If you follow the news about health research, you risk whiplash. First garlic lowers bad cholesterol, then - after more study - it doesn’t. Hormone replacement reduces the risk of heart disease in postmenopausal women, until a huge study finds that it doesn’t (and that it raises the risk of breast cancer to boot). Eating a big breakfast cuts your total daily calories, or not - as a study released last week finds. Yet even if biomedical research can be a fickle guide, we rely on it. But what if wrong answers aren’t the exception but the rule? More and more scholars who scrutinize health research are now making that claim. It isn’t just an individual study here and there that’s flawed, they charge. Instead, the very framework of medical investigation may be off-kilter, leading time and again to findings that are at best unproved and at worst dangerously wrong. The result is a system that leads patients and physicians astray - spurring often costly regimens that won’t help and may even harm you. It’s a disturbing view, with huge implications for doctors, policymakers, and health-conscious consumers. And one of its foremost advocates, Dr. John P.A. Ioannidis, has just ascended to a new, prominent platform after years of crusading against the baseless health and medical claims. As the new chief of Stanford University’s Prevention Research Center, Ioannidis is cementing his role as one of medicine’s top myth-busters. “People are being hurt and even dying” because of false medical claims, he says: not quackery, but errors in medical research. As medical costs hamper the economy and impede deficit-reduction efforts, policymakers and businesses are desperate to cut them without sacrificing sick people. One no-brainer solution is to use and pay for only treatments that work. But if Ioannidis is right, most biomedical studies are wrong. In just the last two months, two pillars of preventive medicine fell. A major study concluded there’s no good evidence that statins (drugs like Lipitor and Crestor) help people with no history of heart disease. The study, by the Cochrane Collaboration, a global consortium of biomedical experts, was based on an evaluation of 14 individual trials with 34,272 patients. more than $20 billion per year, of which half may be unnecessary. (Pfizer, which makes Lipitor, responds in part that “managing cardiovascular disease risk factors is complicated”). almost everyone has enough D for bone health (20 nanograms per milliliter) without taking supplements or calcium pills. Ioannidis, 45, didn’t set out to slay medical myths. A child prodigy (he was calculating decimals at age 3 and wrote a book of poetry at 8), he graduated first in his class from the University of Athens Medical School, did a residency at Harvard, oversaw AIDS clinical trials at the National Institutes of Health in the mid-1990s, and chaired the department of epidemiology at Greece’s University of Ioannina School of Medicine. But at NIH Ioannidis had an epiphany. “Positive” drug trials, which find that a treatment is effective, and “negative” trials, in which a drug fails, take the same amount of time to conduct. 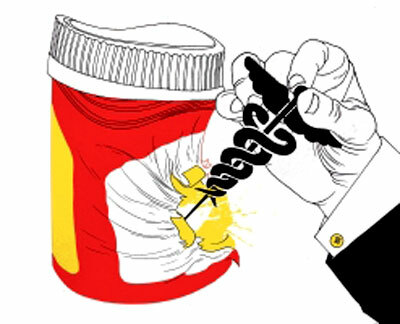 With billions of dollars on the line, companies are loath to declare a new drug ineffective. As a result of the lag in publishing negative studies, patients receive a treatment that is actually ineffective. From clinical trials of new drugs to cutting-edge genetics, biomedical research is riddled with incorrect findings, he argued. Ioannidis deployed an abstruse mathematical argument to prove this, which some critics have questioned. Vioxx saw its fortunes decline precipitously. when it emerged that long-term patients had an increased risk of heart attack and stroke. a press conference announcing the company’s withdrawal of the drug. and so it was popular with pregnant women for several years beginning in the late 1950s. 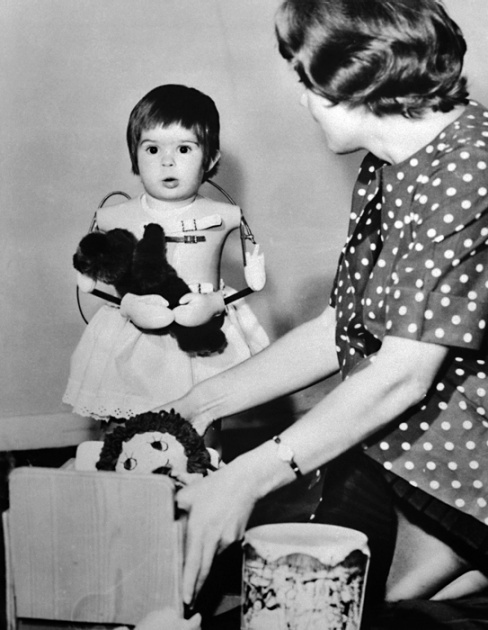 and thalidomide was withdrawn in 1961. However, more recent research has shown than it can be effective in combating some bone cancers. because her mother took Thalidomide tries out new artificial limbs. 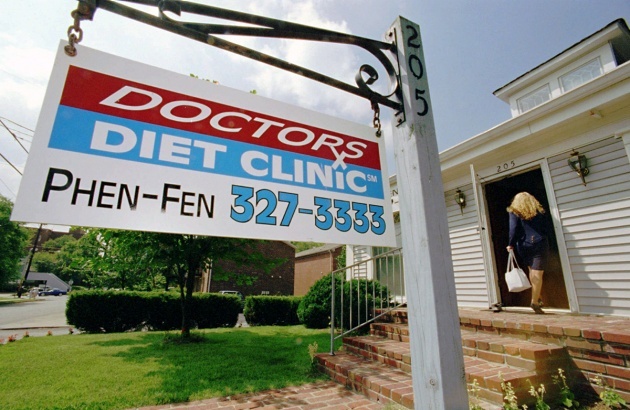 with minimal side effects (at left, a Nashville, Tenn., clinic advertises fen-phen). and even fatal damage to the heart valves and the lungs. Even a cursory glance at medical journals shows that once heralded studies keep falling by the wayside. Two 1993 studies concluded that vitamin E prevents cardiovascular disease; that claim was overturned by more rigorous experiments, in 1996 and 2000. A 1996 study concluding that estrogen therapy reduces older women’s risk of Alzheimer’s was overturned in 2004. Despite the explosive nature of his charges, Ioannidis has collaborated with some 1,500 other scientists, and Stanford, epitome of the establishment, hired him in August to run the preventive-medicine center. “The core of medicine is getting evidence that guides decision making for patients and doctors,” says Ralph Horwitz, chairman of the department of medicine at Stanford. Ioannidis’s first targets were shoddy statistics used in early genome studies. Scientists would test one or a few genes at a time for links to virtually every disease they could think of. That just about ensured they would get “hits” by chance alone. most of these candidate genes could not be verified. The claim that variants of the vitamin D-receptor gene explain three quarters of the risk of osteoporosis? Wrong, he and colleagues proved in 2006: the variants have no effect on osteoporosis. That scores of genes identified by the National Human Genome Research Institute can be used to predict cardiovascular disease? No (2009). That six gene variants raise the risk of Parkinson’s disease? No (2010). Yet claims that gene X raises the risk of disease Y contaminate the scientific literature, affecting personal health decisions and sustaining the personal genome-testing industry. Statistical flukes also plague epidemiology, in which researchers look for links between health and the environment, including how people behave and what they eat. A study might ask whether coffee raises the risk of joint pain, or headaches, or gallbladder disease, or hundreds of other ills. “When you do thousands of tests, statistics says you’ll have some false winners,” says Ioannidis. Drug companies make a mint on such dicey statistics. Even when a claim is disproved, it hangs around like a deadbeat renter you can’t evict. Years after the claim that vitamin E prevents heart disease had been overturned, half the scientific papers mentioning it cast it as true, Ioannidis found in 2007. The situation isn’t hopeless. Geneticists have mostly mended their ways, tightening statistical criteria, but other fields still need to clean house, Ioannidis says. Surgical practices, for instance, have not been tested to nearly the extent that medications have. “I wouldn’t be surprised if a large proportion of surgical practice is based on thin air, and [claims for effectiveness] would evaporate if we studied them closely,” Ioannidis says. That would also save billions of dollars. George Lundberg, former editor of The Journal of the American Medical Association (JAMA), estimates that strictly applying criteria like Ioannidis pushes would save $700 billion to $1 trillion a year in U.S. health-care spending. Of course, not all conventional health wisdom is wrong. Smoking kills, being morbidly obese or severely underweight makes you more likely to die before your time, processed meat raises the risk of some cancers, and controlling blood pressure reduces the risk of stroke. medical wisdom that has stood the test of time - and large, randomized, controlled trials - is more likely to be right than the latest news flash about a single food or drug.